For more than seventy-five years, Catwoman has forged her own path in a clear-cut world of stalwart heroes, diabolical villains, and damsels in distress. Her relentless independence across comic books, television, and film set her apart from the rest of the superhero world. When female-led comics were few and far between, Catwoman headlined her own series for over twenty years. But her unique path had its downsides as well. Her existence on the periphery of the superhero world made her expendable, and she was prone to lengthy absences. Her villainous origins also made her susceptible to sexualized and degrading depictions from her primarily male creators in ways that most conventional heroines didn't face. For good and ill, Catwoman serves as a stark counterpart to the typical evolution of the history of women in comics, and in popular culture generally. Her adventures have charted an inimitably varied journey of empowerment and exploitation. 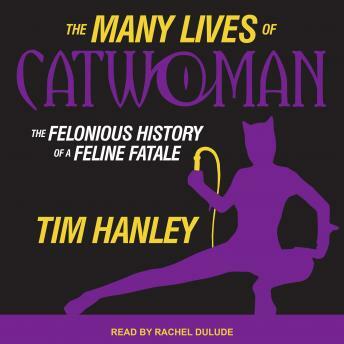 Exploring the many incarnations of this cultural icon offers a new perspective on the superhero genre and showcases the fierce resiliency that has made Catwoman a fan favorite for decades.